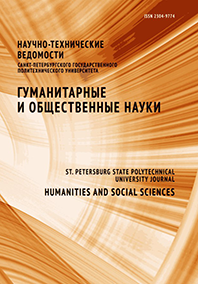 The article analyzes some important problems of learning foreign languages for the specific purposes in Russian tertiary education. The authors identify the conceptual foundations of the professionally oriented foreign languages education integrating the basic educational approaches used in Russia and foreign countries. The purpose of this paper is to determine the priority strategy for improving the system of foreign languages training in universities. Based on the analysis of the main trends in the development of professionally oriented foreign language education, the authors describe the possibilities for increasing the efficiency of foreign-language professional and communicative training of students. For example, the authors focus on the theory and practice of teaching foreign languages for specific purposes, content- and language-integrated learning, contextual approach to teaching foreign languages, professional and productive linguodidactics. As a result, the authors come up with some recommendations for improving the quality of foreign language training of students. Synthesizing certain components of the approaches presented and reasonably combining them in the educational process can provide effective communication training for students. At the same time, the strategic orientation of the development of professionally oriented foreign language education is determined by a qualitatively different methodological foundation that has a positive effect on the competitiveness of higher education in the global educational space.